Jackie Kopcsak is a dance educator, choreographer and performer currently residing in Southern California. Jodie Gates, Vice Dean of the Kaufman school, notes that Jackie’s “background and training in classical ballet is beautifully informed” and that her “interest in preserving the tradition and lineage of classical ballet will be fundamental to all of our student dancers.” Kopcsak received her dance training through Pacific Northwest Ballet in Seattle, Washington and has performed as a principal dancer with Ballet Bellevue and Wade Walthall’s Evergreen City Ballet. In addition to performing a wide range of contemporary and classical roles, Kopcsak has worked extensively in the theater, appearing onstage in musicals such as Oklahoma!, Seven Brides for Seven Brothers and Phantom. She graduated with her MFA in Dance from the University of California, Irvine (UCI), where she was the recipient of a Graduate Fellowship, as well as the Elftmann Leadership Scholarship. 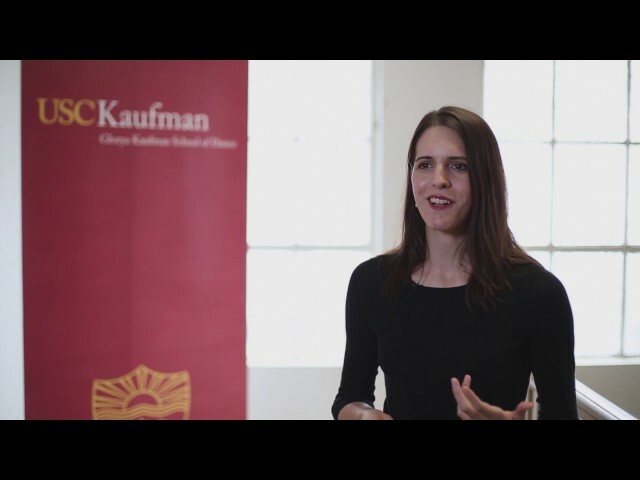 Prior to joining the USC Kaufman School of Dance as an Assistant Professor of Practice in 2014, Kopcsak was a Lecturer in Ballet and Dance History at UC Irvine. While completing her BA in History from the University of Washington, Kopcsak founded, directed and choreographed for the university’s first ballet company. She has since choreographed for Pacific Northwest Ballet School, Evergreen City Ballet, The Washington Academy of Performing Arts, Ballet Bellevue, San Marino Unified School District, The Red Chair Production Company, Beverly Hills’ Theatre 40, Pasadena Civic Ballet, Inland Pacific Ballet, Pacific Symphony and the University of California, Irvine. A certified teacher in Primary through Level 3 of American Ballet Theatre’s National Training Curriculum®, Kopcsak is a sought-after ballet teacher who teaches at schools around the country.